⇑ back to "Personal Growth"
A lot of ministries begin with a bang, then explode with new growth. But after the initial growth, they plateau. I have seen this repeated thousands of times from pastors I've talked with over the years. God doesn't want ministries to stagnate. Not only does he want them to succeed, but he also wants us to succeed as ministry leaders. 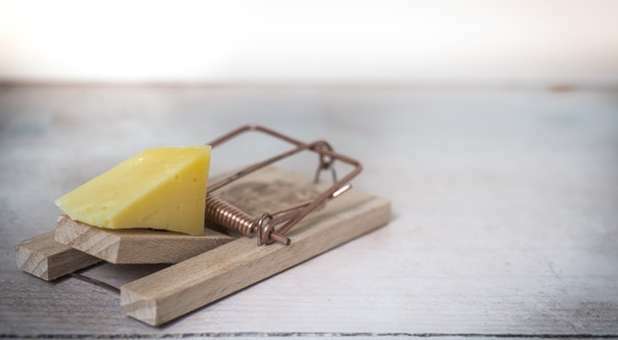 To help us achieve this goal, God has given us examples of errors to avoid—seven common traps of leadership that Satan is most likely to use to keep your ministry from becoming all that God wants it to be. 1. You stop growing personally. Whenever you find yourself resisting a new way of doing something, defending the status quo or opposing a change that God has told you to make, watch out—you're about to lose your place of leadership. What's the key to overcoming this leadership trap? You must continue developing your skills, your character, your perspective, your vision, your heart for God and your dependence upon him. The leader who stops having a passion for ministry won't last long. This is one of the subtlest traps in ministry—you go through the motions of serving the Lord because you know it's the right thing to do, but your heart is not in it. That's no way to serve God. If you've found yourself in this trap, there's hope. If you want to recover your heart for people, you must do the things you did in the beginning. Start acting the way you used to act when you were passionate about ministry. Even if you don't feel passionate, act passionately. It's easier to act your way into a feeling than it is to feel your way into an action. If you act loving, those feelings will come back. So, do the things that originally brought you joy in ministry. Learn to listen and be sensitive to others. Encourage the people you serve in ministry to talk to you. Let them tell you about their problems, their troubles, their fears, their aspirations, their dreams and their hurts. Be open to suggestions and constructive criticism and look for other perspectives. Many things can distract you from ministry. Personal or health problems can distract you. Competing interests can distract you. Finances can distract you. Things that you think are fun and good and wonderful can distract you. Satan doesn't care if you aren't sinning while distracted, because as long as you're distracted, you aren't doing what God wants you to do. But God wants us to stay focused. Never forget your mission. The Bible says in Luke 9:62, "No one who puts his hand to the plow and looks back at things is fit for the kingdom of God." Stay focused. Don't get distracted. Complacency is the enemy of a good leader. If God says go for it, stick your neck out! Never stop depending on the Lord. Stop coasting. Take some risks in faith. Push the envelope. Attempt something that cannot be accomplished in the power of the flesh. Say to yourself, "What am I going to try in my ministry this next year that I know is bound to fail unless God bails me out?" Unless God is your only safety net, you're not truly living by faith. Depend on the Lord. I've seen this again and again. When a leader becomes arrogant, it leads to ruin. When you think everything depends on you, when you don't think you need the Lord's help in your ministry because you've got it all together, watch out. If you sense that you've become prideful and arrogant about your leadership, humble yourself. Submit your heart to God for softening, and bow before his greatness. 7. You fail to delegate. When a ministry plateaus, God is telling you that you've reached the limit of what he's empowered you to do by yourself. You need to move from doing to delegating. Involve other people in your ministry. Move from being a minister to a manager of ministers. Managing is a ministry in itself. D. L. Moody said it like this: "I'd rather put 10 men to work than do the work of 10 men." If you avoid these seven traps, you'll go a long way toward building a ministry that lasts. 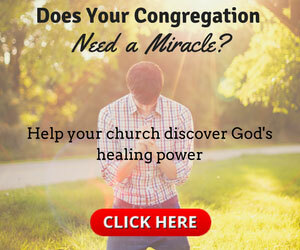 This article originally appeared at pastors.com.